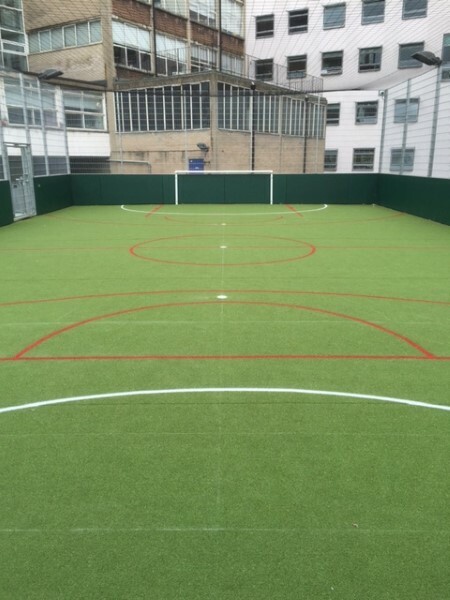 Two Pack Polyurethane Material used to mark a new AstroTurf Pitch for a Sixth Form Centre in Islington, North London. 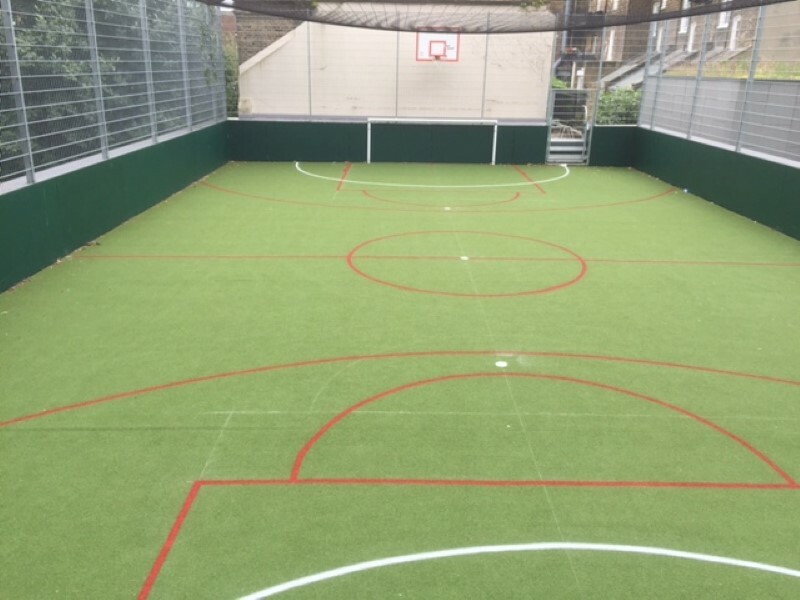 Markings were applied creating a 5-a-Side Football pitch and Basketball court. 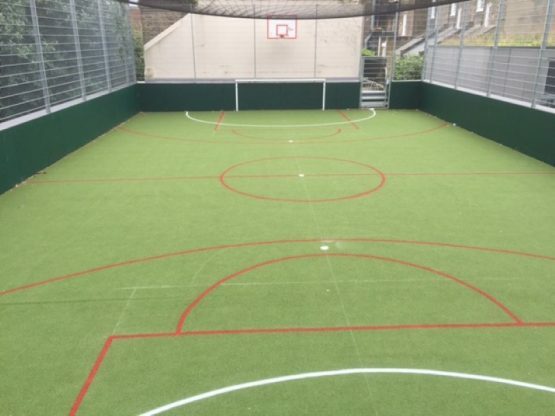 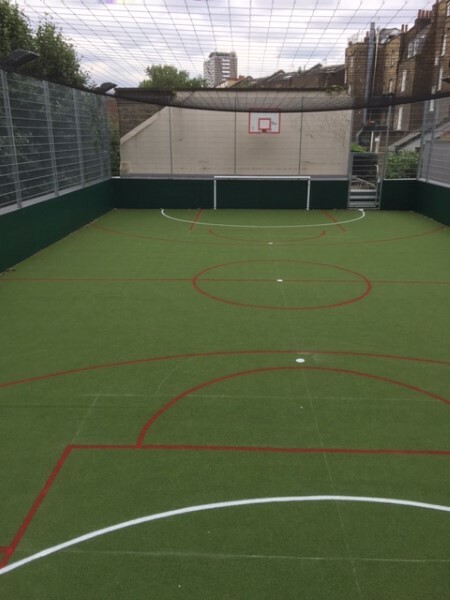 Client opted for the football pitch to be completed in white and the basketball court to be completed in red.